Heading to Wildwood in New Jersey for your next summer vacation? Do you enjoy playing the game of miniature golf? 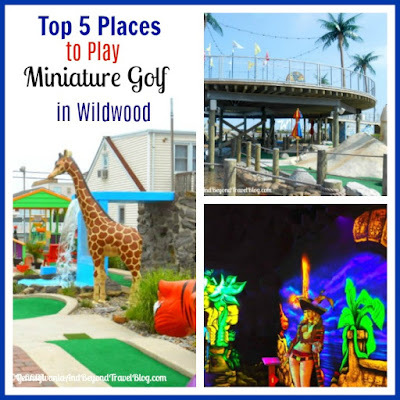 If so, we've got a list of our favorite places to play mini golf on the Wildwoods Island. Yes, Wildwood is a barrier island! 1. StarLux Mini Golf - is located on Ocean Avenue and is three courses in one! Each of the 3 courses is done in a different theme and each one has 9-holes. You can play one, two or all three courses! The three themes include: Boardwalk, Beach and Ocean. This is our favorite place to play! It can get crowded during the popular evening hours & weekends, so try going during the week or a weekday afternoon. 2. Hassles Mini Golf - is located on 21st Street and Beach in North Wildwood and is an 18-hole course. There are several stationary and moving obstacles to putt through and in my honest opinion, it's our second favorite course to play. This is a really nice course for families to play and young children really enjoy it. After playing a round (or two) you can enjoy some ice cream at their on-site ice cream parlor. 3. 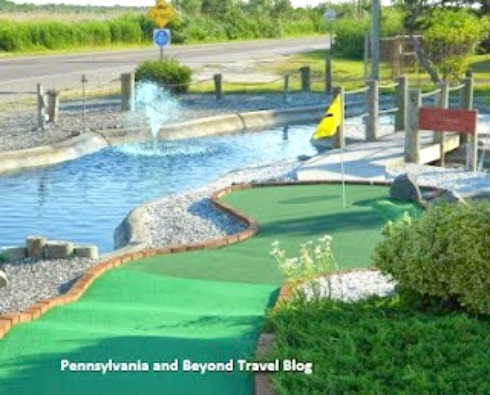 Harbor Light Mini Golf - is located on Pacific Avenue in Wildwood Crest and is an 18-hole course. Sometimes when we want to escape the boardwalk and crowds we will head to Harbor Light! It's a beautifully landscaped course with some pretty water features. Our grandchildren always enjoy playing here. 4. Dragon's Lair Mini Golf - is located at 3616 on the Boardwalk. This course is played indoors, in air conditioning and under black lights. While this is a great course for older children and adults, I don't recommend it for smaller children. My grandson is 3 1/2 and hates it...scares him since it's played under black lights with eerie looking props. 5. 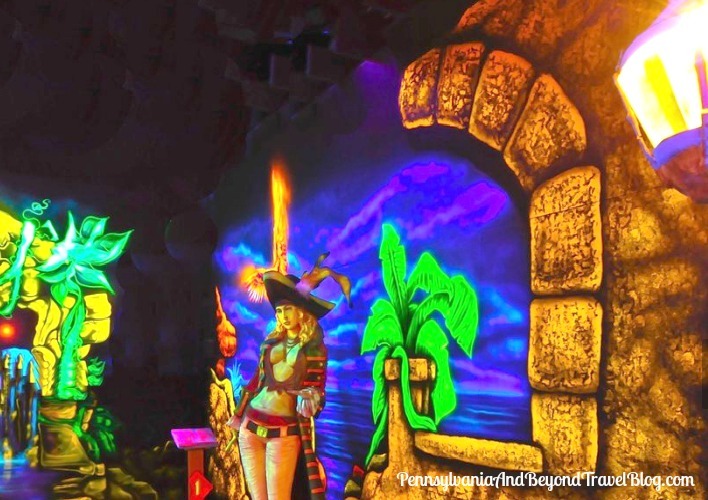 3-D Glow Mini Golf - is located at 3414 on the Boardwalk. This is an indoor 18-hole course that is played underneath black lights. This fun course is better for adults and older children and is done in a Wildwood pirate's theme. They will provide you with the 3-D glasses so that you can play their course. Wildwood has a lot of great miniature golf courses to play, however...these are our top 5 favorites. If you don't mind driving, you'll find 2 really nice courses up in Stone Harbor (in the downtown business district) and down in Cape May you'll find Sunset Beach Mini Golf which gives you beautiful ocean and bay views.